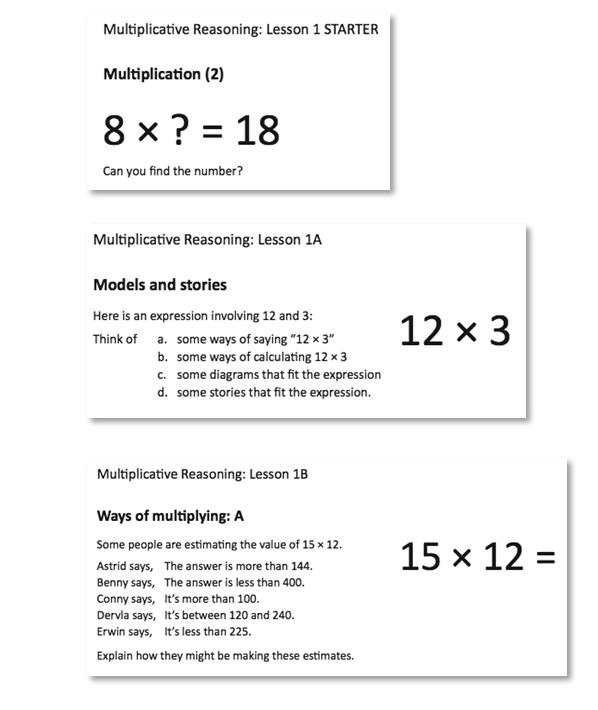 The lessons contained in the pack (available upon request) are split equally between Algebra and Multiplicative Reasoning. These are two topics which students have struggled with historically. 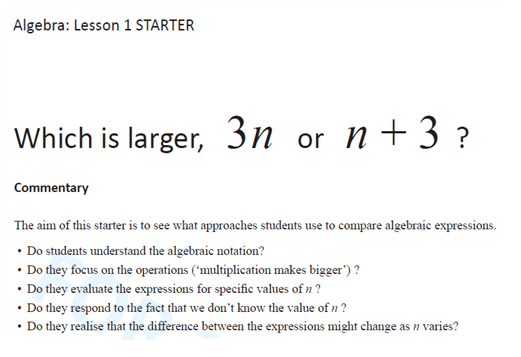 • Lesson components A and B, each of which consolidate, extend or elaborate the concept introduced in the Starter. 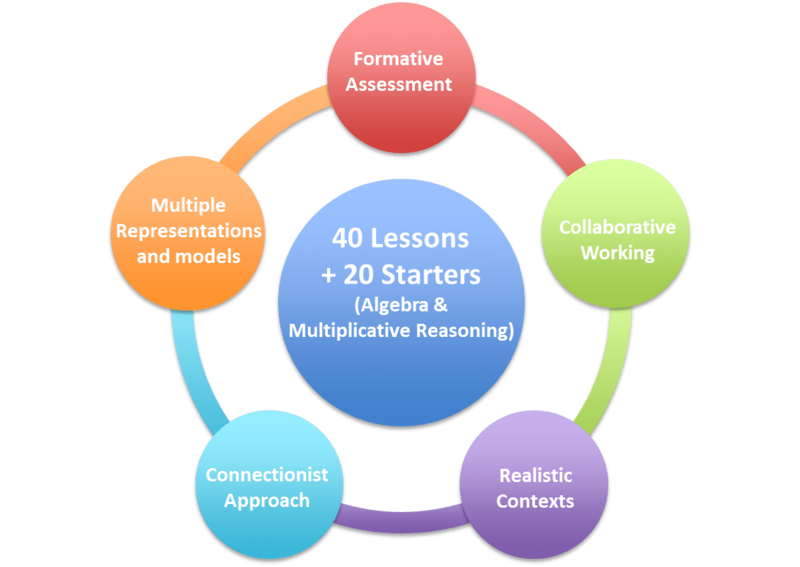 The starter activities are designed to help teachers identify challenges experienced by their students. The lessons then provide advice, guidance and strategies for dealing with these. The lessons promote collaborative working, and both group and whole-class discussions. The ICCAMS team believes that productive mathematical discussions are an integral part of the process of developing mathematical understanding, and engagement with sample student working provides one means in which this intention is prioritised. The lessons draw on realistic contexts. 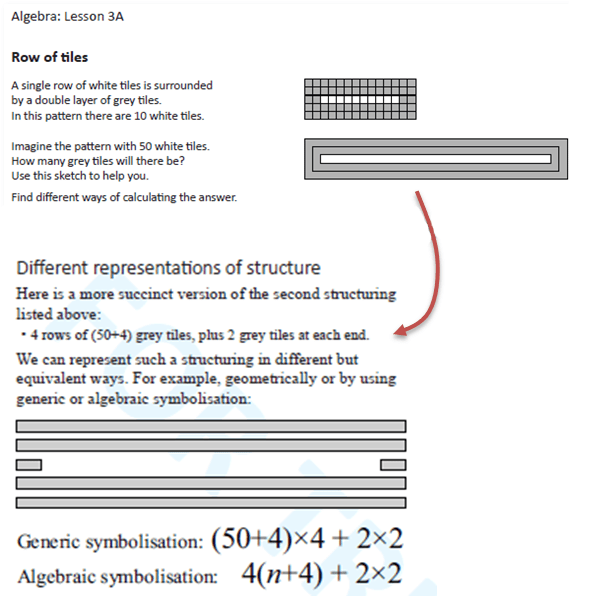 This provides meaning to mathematical concepts and facilitates the move from concrete to abstract understanding and generalisation. 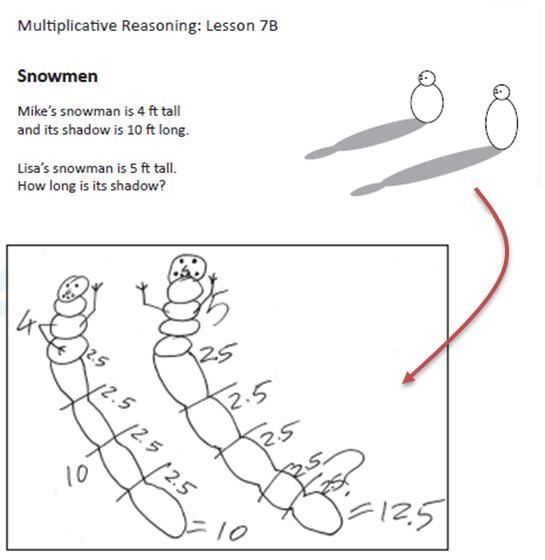 The lessons make explicit links between different mathematical concepts to promote a view of mathematics as a connected body of knowledge. 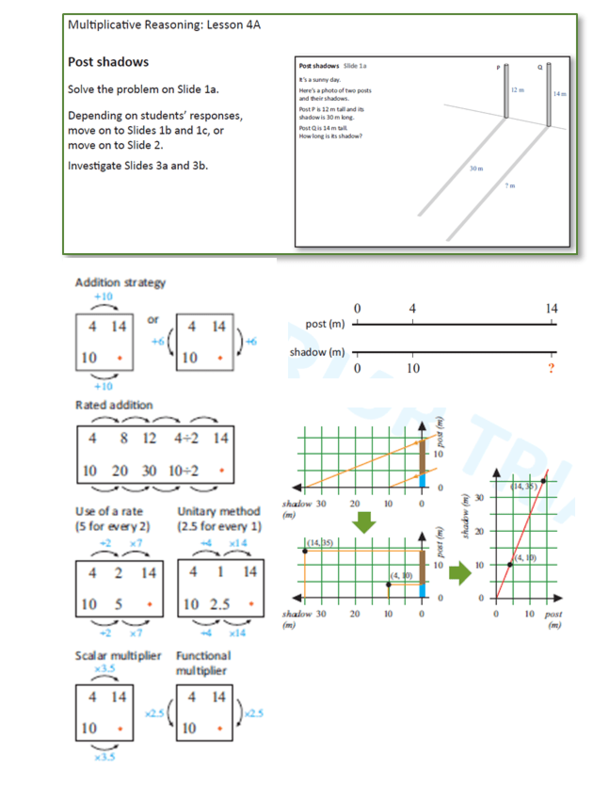 The lessons make deliberate use of multiple representations of mathematical concepts and mini-models (e.g. the Double Number Line) to investigate mathematical structures.